The office makeover is coming along! You can see my progress by catching up on the office design plan from week 1 and organization ideas from week 2. 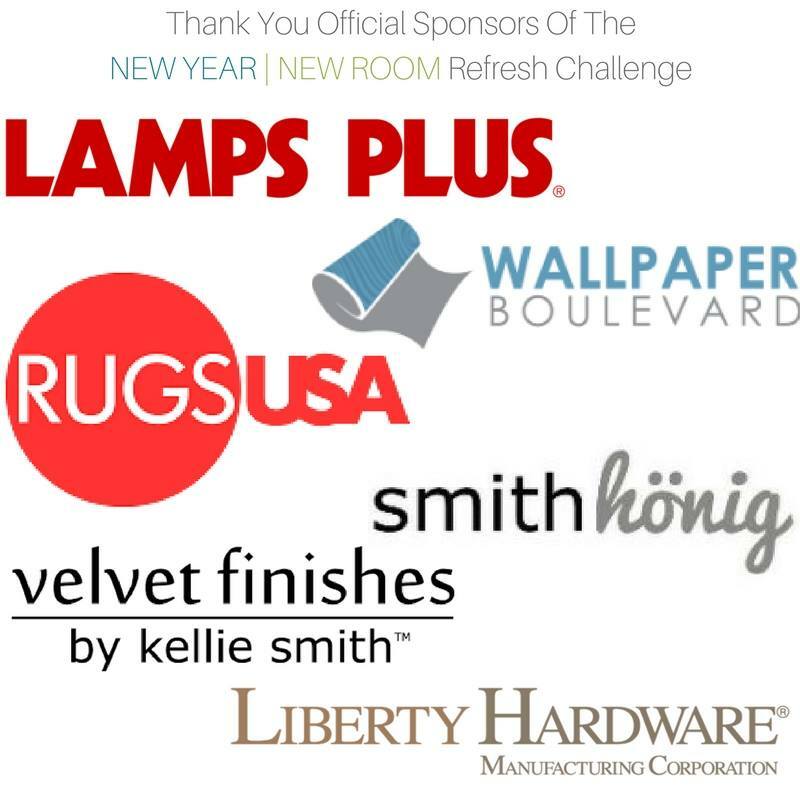 We’re now entering week 3 of the New Year New Room Refresh Challenge hosted by Casa Watkins, and I feel like my office is finally starting to take shape. My desk lamp/lighting came in this week as well as my office chair, and I couldn’t be more thrilled with my choices from Lamps Plus (who graciously provided the products for the makeover). When choosing desk lamps, I always go too short and then end up with light that isn’t really usable, so this time, I opted for a tall brass and crystal lamp with black and gold shade. It has two lights, so it’s easy for me to adjust the level of light I need. You all KNOW I love crystal and lucite finishes- personally I gravitate towards them because they are timeless, airy and have a luxury vibe to them. I recommend buying lighting for your office that is functional- make sure it’s bright, tall enough, and offers flexibility via either two pull chains/bulbs or a 3-way switch that accommodates a 3-way bulb to control brightness. Dimmers are also a great option for ceiling mounted lights. 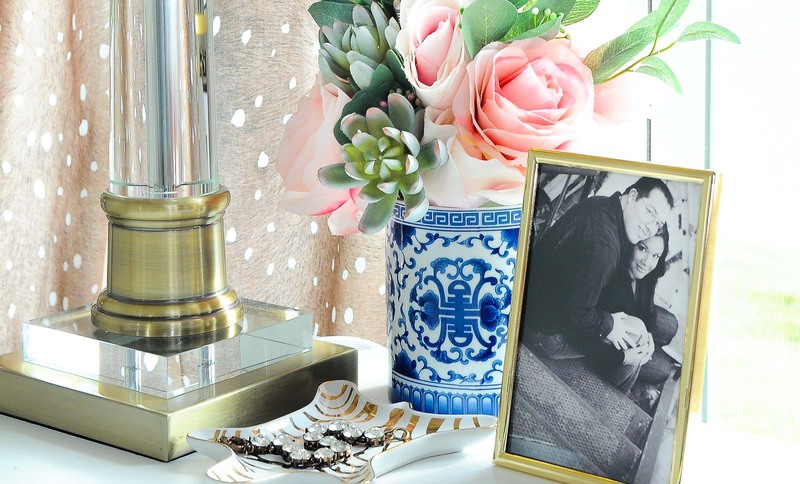 Paired with my latest vase addition to my blue and white chinoiserie collection, it looks pretty darn lovely. The faux florals are from Michael’s Spring Market line, and I highly recommend their bouquets if you want no fuss, simple florals to use around your home. 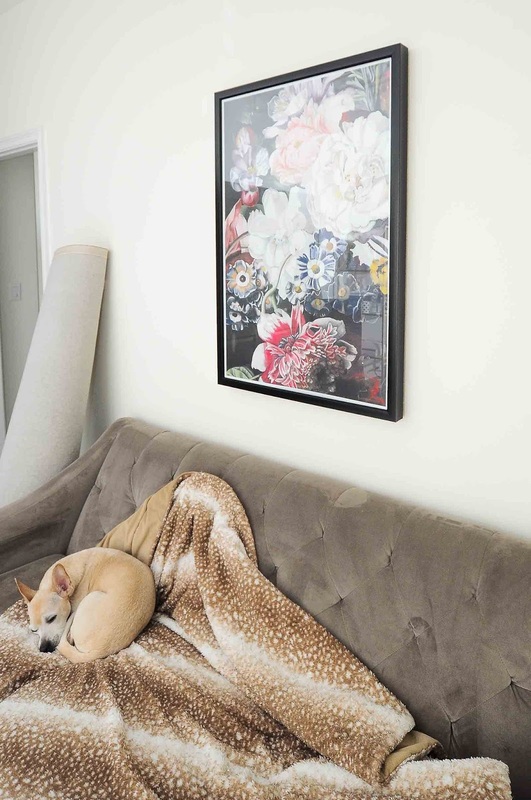 I also got around to hanging up the floral art print I chose for my office way back on Cyber Monday when it was half off. I love how it looks in the space above the sofa, and now I just need to add the plug-in sconces I have on each side of the print to complete that wall. Last week I wrote about organizing my craft and office supplies, and I was still not 100% pleased with the state of my closet. 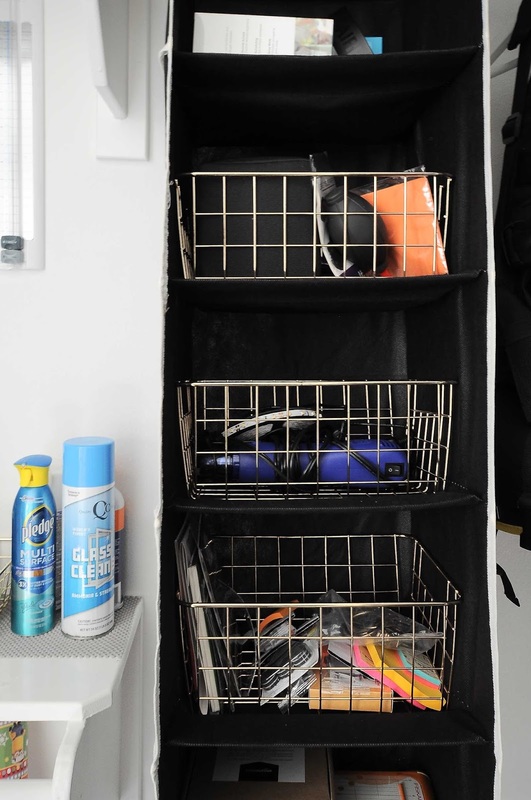 The rod where you would typically hang clothes was just wasted space, and then inspiration struck me when I was out at Marshall’s this weekend…a shoe organizer! I can now store lightweight supplies in the “cubbies” and turn that dead space into usable space. 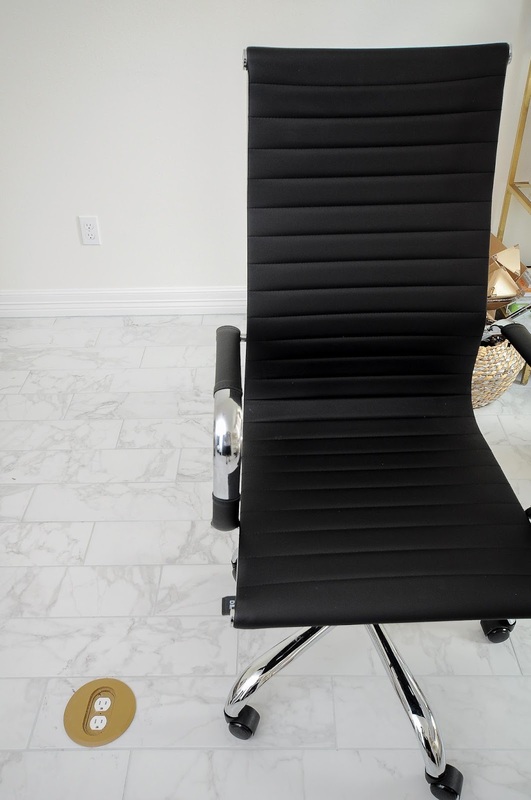 And finally after years and years of having a desk without a proper office chair… I HAVE AN OFFICE CHAIR! 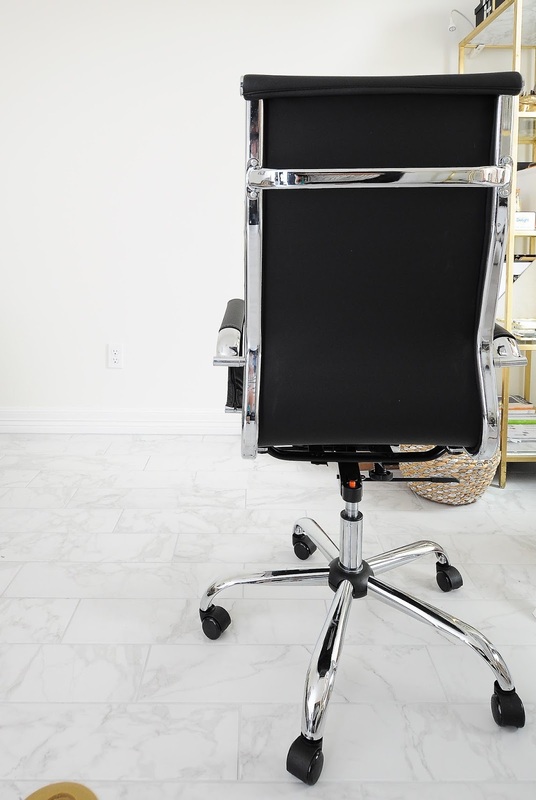 A gorgeous black and chrome high back rolling office chair. I like to have a place to lean my head back on when I’m writing, so a high back was important to me. Adjustable height is also a must and usually standard on rolling chairs. However, I also wanted the chair to have a modern aesthetic and not something you’d see in a cubical farm. And even though I’m fluffy, the seat is wide enough for my bottom. The chrome arms are sturdy and help me get up easily (yup, still have knee problems…*sob*). The chair looks good from all angles, and I love the bar in the back to easily move it around. The only thing I didn’t account for is that the height of the arms means I can’t tuck it under the desk, but it’s not a big deal. The height of the back makes it comfortable for hours of blogging. Or getting lost in Pinterest. That’s what I accomplished this week in my office space, and by next week’s post I should have the roller shade for my window, the rug for the space, and the sconces installed. I also have a fun idea for closet lighting that I hope and pray turns out like I envision in my mind. Then the week after that is reveal day! Eek! Time is flying by way too fast. 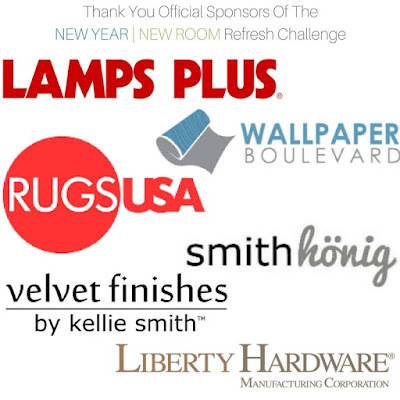 I will be back tomorrow with a dining space update, and I am so loving how that area of my home is turning out. It feels so fabulous to get stuff accomplished…maybe I can finally have a housewarming party. 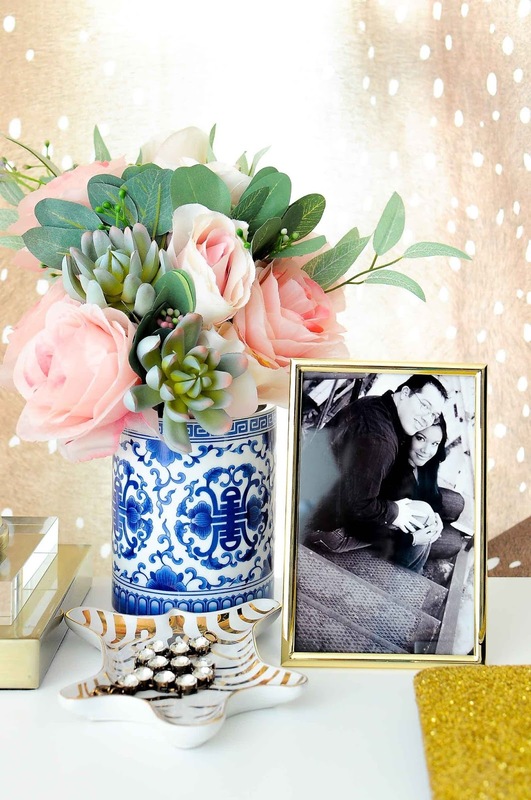 I'm in love with your Michaels' arrangement in the chinoiserie vase! Stunning with the lamp! 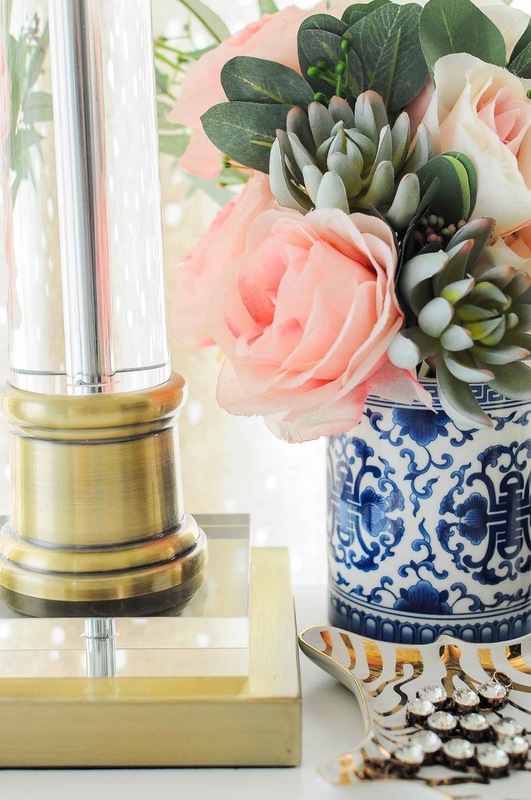 Seriously loving all the chinoiserie. 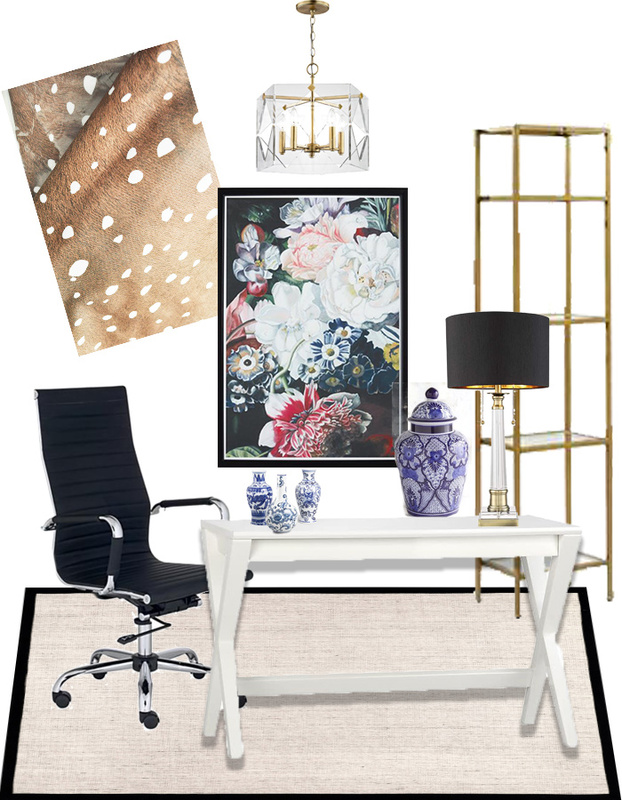 The lamp and chair look fab together and work so well in the space. Beautiful! 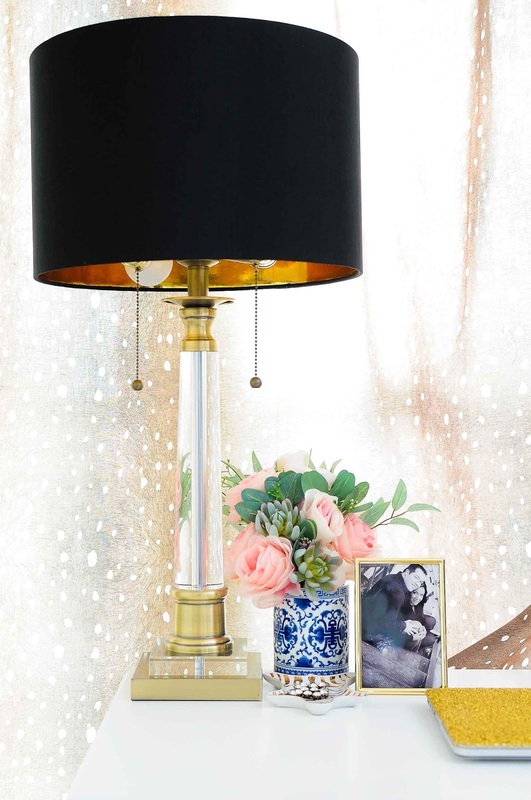 That lamp and vase combo is out of this world pretty! Monica! I always love reading your posts. I totally dig your lamp and chair. High fives!